I’m starting something I probably won’t follow through with though I’m going to try. Basically, I’m hoping to post one picture a day from Japan. Not necessarily from that exact day, as that would be difficult, though just a little something. It’s in addition to just normal posts. 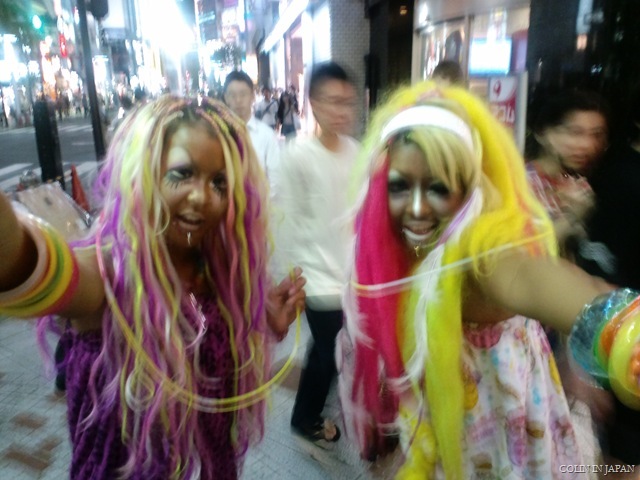 Crazy Shibuya fashion girls. They were actually pretty happy to be in the picture, when I asked them if it was alright, which surprised me. I hadn’t figured the flash out yet so it’s a bit fuzzy. Darn.